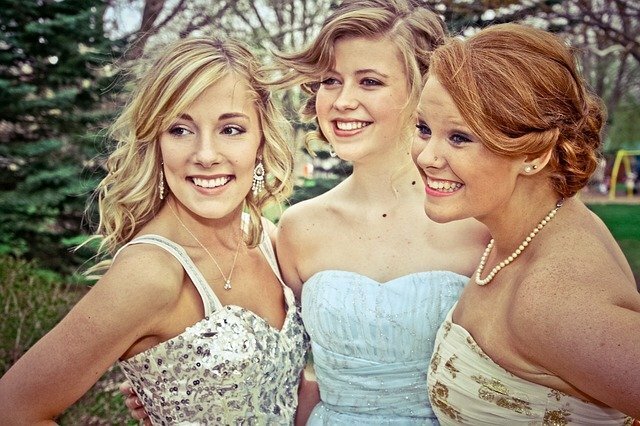 Proms, the formal senior high school events, are widely held across America and have been for the past 100 years. It entails themed balls, ballgowns and tuxedos, chaperones and even luxurious transportation. Although end of year parties, or discos, are quite common in the UK, and have been since around the 70s, end of year balls, or proms, only became somewhat mainstream around the early 00s. 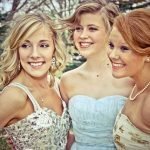 The tradition of prom as a wind down and farewell from school life, is a lovely idea. But as most parents can attest, attending the prom is no cheap occasion. Especially when it comes to the girls who all need styled hair, professional makeup, gowns and jewellery. For some students, and families, a lack of funds means going to the prom is a far-flung dream. No child wants to forgo this, perhaps, once in a lifetime opportunity, nor do parents want to have to say they can’t. And everyone should be able to go to their prom. But there is one fairy godmother who is on hand to ensure you can go to the ball, Cinderella. Ally Outten set up Prom Ally in 2015 to loan prom style dresses to girls in her community that otherwise wouldn’t be able to go. Using her own money, she would buy pre-loved dresses, clean them and then loan them out free of charge. With now over 1,000 dresses, many donated, Ally offers these dresses to girls all around the country for the small charge of £10 to cover postage and returns costs. Meaning, lots of young girls who otherwise couldn’t, can now go to their prom. If you’re looking to borrow a dress or would like to donate a dress, be sure to get in touch with Ally. She’d be delighted to hear from you.